This position will be responsible for operational processing of the Spanish payrolls alongside existing CloudPay resources. In this operational capacity, the person will ensure the accuracy of payroll and payroll related information for internal and SSAE 16 audits, in addition to processing payrolls in accordance with established statutory requirements and internal processes. Excellent customer service skills, the ability to resolve client issues using effective problem solving skills and the ability to multi-task is essential. 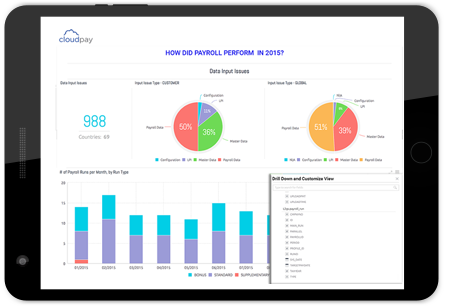 Implementation of an in-house payroll platform with assistance from all relevant CloudPay departments. Maintain payroll information, files and records to provide up to date reference and audit trail for compliance. Prepare reports, tax filings, correspondence and other written materials as written reference or for compliance with district, state, federal or international statutory requirements.